Produces an abundance of large, bright, juicy raspberries, with a truly delicious flavour. What's more, if you find you can' t eat the fruit as quickly as you harvest it, Joan J comes out of the freezer tasting as sweet and delicious as the day it was picked. 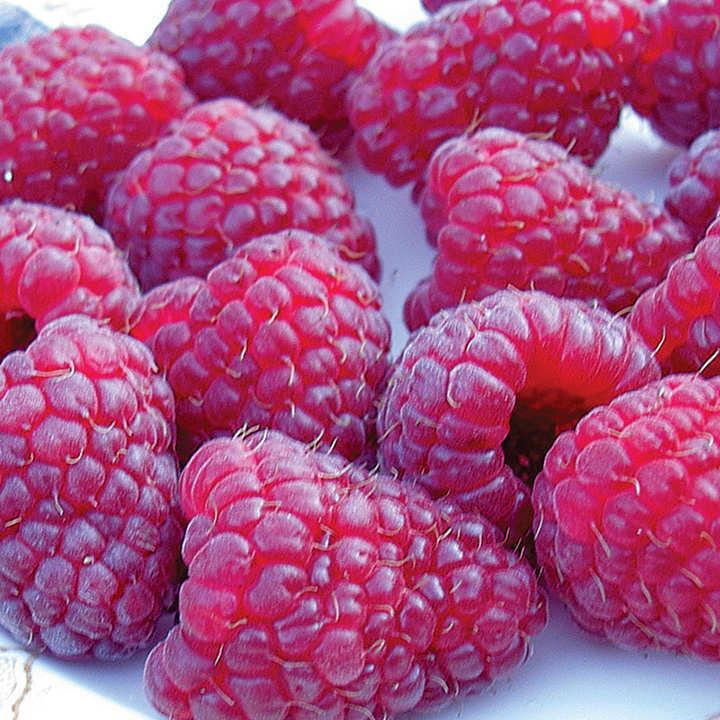 As a 'primocane' raspberry, it fruits on newly produced canes - harvest the first raspberries from late July/early August, and keep picking right through to the first frosts in October/November!